Note: This post is the third in a series titled Chengdu Stories wherein we interview local personalities who are contributing to the city’s culture. Check out other posts in this series if you haven’t already. 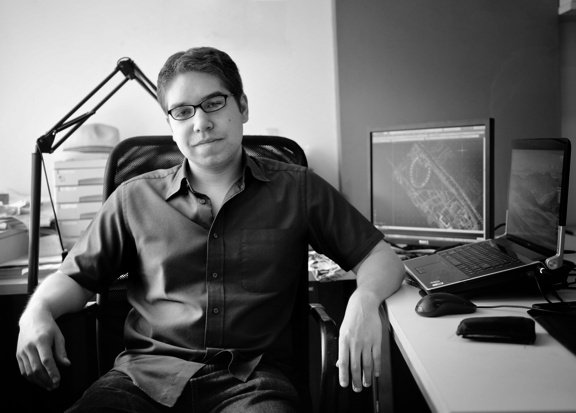 Adam Mayer arrived in Chengdu and got to designing buildings right off the bat. We met shortly before Sascha interviewed Adam for this post, which cast him as a pioneering foreigner blazing the Chinese trail of urban development: American Architects Finds Freedom in Chengdu. Since then we’ve become friends and it’s always been a pleasure to muse about Chengdu’s future. His unique position as a foreign architect in the city affords him a phenomenal platform to witness one of the largest building booms in human history. And since Chengdu has been among the fastest-growing cities in the world for years now, it’s a land of incredible opportunity for architects and urban developers from around the world. A year after arriving in Chengdu, Adam’s work is beginning to materialize around Chengdu. I thought this would be a great time to ask him a few question about what he’s up to and where Chengdu is headed. Chengdu Living: For those who don’t know you, who are you and where are you from? What are you doing in Chengdu? Adam: I’m an architectural designer from California, USA. 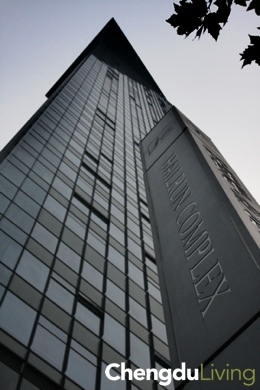 Currently I am a Senior Project Architect at the firm Cendes in our Chengdu office. I’ve been living in Chengdu for a year. Chengdu Living: What led you to China or Chengdu? Opportunity to work in the world’s largest market for new buildings is what initially led me to China. I landed in Chengdu because at the time I moved to China (about 2 years ago) there was a shift happening with development moving inland from the coastal regions. Chengdu has been a big beneficiary of the Central Government’s push westward and development activity doesn’t appear to be slowing down anytime soon. Chengdu Living: What are you working on now? Currently I am working on a few different things. One project is a proposal for a new 450,000 M² mixed-use project in north-central Chengdu. The project includes a 5-story shopping mall with three 120-meter residential towers and a 200-meter office tower. I am also designing a retail center just outside of Guangzhou and a residential complex in Tangshan, Hebei province. Chengdu Living: How has working in the architecture field in this region differed from what you expected? It is not much different from what I anticipated. Project schedules are usually on an accelerated track, which takes some getting used to after working in the U.S. where contracts allot more time for architects to do thoughtful design work. In most cases, we don’t have the luxury of time with projects in China so design and production need to happen quickly. property developers have a time limit in which to build on land they have successfully bid on. The reason for the time limit is to discourage land speculation and promote urban development. This has to do partly with the fact that property developers have a time limit in which to build on land they have successfully bid on. The reason for the time limit is to discourage land speculation and promote urban development. Accelerated project schedules are not unique to the architecture industry but are rather a reflection of China’s overall rush to modernize and develop its cities. Chengdu Living: What are the greatest challenges of working here? The greatest advantages? The greatest challenges for a foreigner working in China are definitely the language and cultural barriers, though these are hurdles that can be overcome through spending some time in the country getting to know its customs and proactively studying Mandarin. The greatest advantage is simply the fact that China, as a huge developing country, offers a lot more opportunity for new buildings at this point in time than its developed world counterparts. Chengdu Living: What advice would you give to Western architects working in China? Be patient and know what the type of client you are working with. Not all clients are created equally, especially in China where everyone from factory owners to rural village chiefs are getting their hands into property development. In many cases these first-time developers don’t know what they are doing and rely on architects not only for design but to educate them about the development process as well. This can be a burden and time-consuming but it can also be a good opportunity provided you get lucky and the client has an open mind. Established private Chinese development companies and overseas developers from places like the U.S., Hong Kong and Singapore usually have a better idea of what they want and put more emphasis on design quality and the finished product because they have a reputation to maintain. State-owned property developers are another thing altogether and can often be cumbersome to deal with because of their size and inefficient managerial culture. 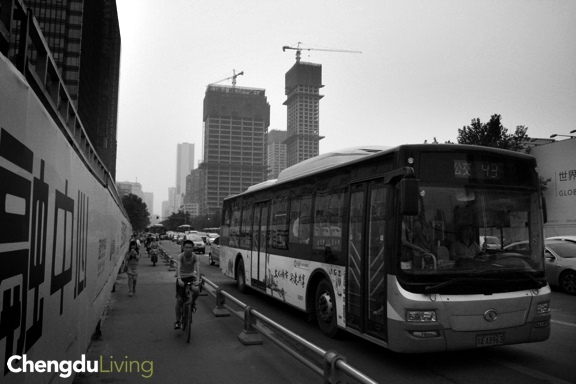 Chengdu Living: What will Chengdu look like in 5 years? 10? 20? What’s the rate of change and what do you see for the future of China’s urban development? Parts of Chengdu will look completely different in 5 years. Areas like the South Hi-Tech Zone and outlying areas outside the 3rd Ring Road will continue to urbanize and eventually merge with the city. In Chengdu’s Central Business District, DongDaJie (???) will be a canyon of commercial office towers stretching all the way from Chunxi Lu to the East 2nd Ring Road. The expanding subway system will help tie the city together. Further down the line, Chengdu will continue to evolve and add new buildings to the urban fabric. Chengdu government leaders are aware of what makes the city a unique and attractive place not only with Chinese people but with foreigners (and more importantly, foreign investment) as well. They are trying to capitalize on this allure by promoting what is called a ‘Modern Garden City’. This is not to suggest that Chengdu will lose its inherent charm in its path towards modernization. Rather, Chengdu government leaders are aware of what makes the city a unique and attractive place not only with Chinese people but with foreigners (and more importantly, foreign investment) as well. They are trying to capitalize on this allure by promoting what is called a ‘Modern Garden City’. What this essentially means is that government planners are looking at ways to tie the city in with it surrounding natural environment by encouraging preservation of green belts in developing areas. Furthermore, non-profit organizations like the Chengdu Urban Rivers Association (CURA) are engaged in working to find solutions to cleaning up the city’s rivers by encouraging sustainable approaches to agriculture in outlying areas. So in many aspects, Chengdu is a very progressive city in China when it comes to environmental and quality-of-life issues. I don’t think this is an accident as the city has a long tradition of being tied closely with its natural surroundings. The fertile soil of the Chengdu Plain along with the ancient Dujiangyan Irrigation System have shaped a culture over thousands of years that places high value on agriculture, influencing the strong culinary and leisure paradigm we still see today. Chengdu Living: You’ve recently started authoring a blog called China Urban Development: what’s that about and what motivated you begin publishing it? After doing some research about urban development in China I noticed that there is a dearth of accurate information about what is going on here. Of course, there is no lack of reporting about China’s development in the Western media- not a day goes by where publications like the New York Times or the Guardian don’t report something about China. Yet oftentimes the focus is just on how big or fast everything is rather than providing any real insight to what is going on here on the ground. On the other side of awe-struck reporting is the ideological, agenda-based bashing of China by some pundits in the West. This really infuriates me because it does nothing to enhance understanding between China and the rest of the world and can actually be a detrimental influence on international relations. as an outsider working in a field that is directly related to urban development, I feel it is my responsibility to try and provide a more balanced picture of what’s happening this moment in China. So as an outsider working in a field that is directly related to urban development, I feel it is my responsibility to try and provide a more balanced picture of what’s happening this moment in China. I am by no means an apologist for the negative aspects of China’s development and I do acknowledge that there are tremendous challenges to overcome. That being said, I am very bullish about China’s future and strongly believe that development is ultimately a positive thing for Chinese people and the world. 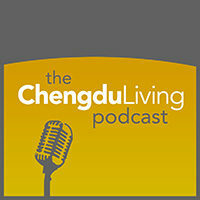 Do you have any comments on development in Chengdu or greater China? Leave them in the comments below. 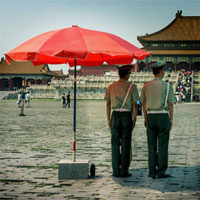 Then check out Adam’s excellent blog China Urban Development. Biden Promises the World in Chengdu, But Can He Deliver? Chengdu is a dump. I’m from Singapore. That’s a real profound comment you left there Alvin. I think you should bear in mind that Chengdu is still a developing city and is probably about 20-30 years behind a place like Singapore in terms of urban infrastructure development. Furthermore, Chengdu being a supposed ‘dump’ hasn’t stopped Singaporeans like yourself from descending down on the city like a flock of vultures trying to get their piece of the action. So before you go passing judgement with such a lack of articulation you should try and adopt a broader historical perspective to better understand the current condition of urbanization. I myself loved Chengdu for the two weeks I stayed there. I loved how the city could incorporate an urban and suburban life, with people living both fast and slow， some eager to move on into the future, and others reluctant to give up tradition. It’s easily my favorite city in China. Nice to hear that. Obviously we have an affinity for Chengdu also, so I won’t pretend that we don’t approach the subject without some bias. However, after traveling to other cities and regions in China it’s always nice coming back to Chengdu. I second what Adam is saying. I’m sure it’s all too easy for individuals arriving in Chengdu from more developed locales to take the short term view, and completely miss the essence of Chengdu. There are undoubtedly numerous issues facing the city as it pushes it’s development with such aplomb, though the enthusiasm amongst many here will ensure that these continue to be addressed over time. More to the point, Chengdu is a city of promise, something that few cities standing today can make claim to with such conviction. Perhaps Alvin you are a ‘glass half empty’ kind of guy!? This was a great and insightful piece. I am working on infrastructure upgrades in the outlying counties related to earthquake reconstruction and general road/bridge/sewer/water/flood control. There are 22 towns from Shimian in the southwest up north to Nanjiang and towns in between. The local clients are construction bureau officials and they are generally eager to do quality work that benefits their society and makes people’s lives better. Working in China (from WV, USA) has been a great experience. Glad that Adam is getting to be a part of Chengdu’s surge and look forward to seeing his work as part of the new skyline here in Chengdu. This interview is another piece helping me understand China more and more. I fully agree that most Western people are unfortunately shortsighted concerning their views on China and often focus on the less good things that are happening in China while forgetting the amazing things. As I just contacted you on Linkedin Adam, I’d like to get in touch to learn more about Chengdu and the architecture business there. My company’s mission is to understand the developments and challenges Chinese cities face and to find out whether knowledge or expertise from Holland could assist Chinese firms/governments in any way. Me and one of my partners (Michiel Roosjen) will be in Chengdu between 4 – 19 October. Thanks in advance for letting me know whether you’re available for a meeting / coffee / chat somewhere in town.